Facebook is the most popular social media website with 1 billion active daily users around the world. In November 2015, it even trumped Google for having the most amount of visitors (18.4 billion versus 15.3 billion according to SimilarWeb). That is a lot of visits from people who may be requiring your products, or services. Are you making the most of it by building a presence for your small business on Facebook? If not, you should be, and part of that presence should be in the form of reviews. In this post, we're going to give you 5 ways that your small business could benefit from Facebook reviews. 1. Facebook shows preferential treatment to local search results. Most people don't think of Facebook as a search engine, yet 1.5 billion searches are done on Facebook each day. This is an extremely important statistic to note for local businesses as Facebook tends to give relevant local businesses preferential treatment in the results. If people are looking for services like yours and end up on your Facebook page, it is a good idea to have positive reviews from other customers that have benefited from your offering. 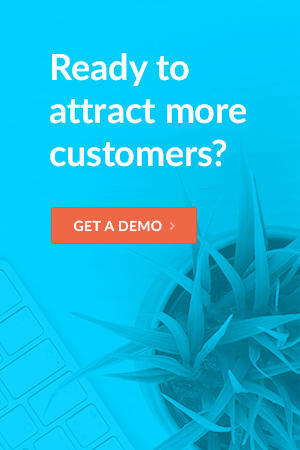 This will provide more confidence in your quality and could increase the likelihood of them patronizing your business. 2. The mobile app has a Nearby Places feature. We already know from Google that consumers use mobile more often than not for searches with local intent. Facebook capitalizes on this with their app's Nearby Places feature. It allows people to search for local businesses with specific categories nearby them, whether they are in their home town or traveling. Obviously, the person who is looking for a specific type of business near them is a hot prospect. Again, having positive reviews on your page could influence the potential customer to give you a try. 3. Facebook is testing a feature to rival Yelp. To further prove that small businesses are important to Facebook, Facebook is testing out Professional Services, a directory that will rival Yelp in directing people to local, service based businesses. When browsing through categories and search results from the Facebook Professional Services directory, you can easily see that nearby businesses are listed with their average rating and number of reviews. If you have higher ratings and more reviews, you have a better chance of attracting the attention of would be customers. 4. People will see that friends left a review. It's no surprise that 92% of people are more likely to trust a recommendation made by a friend or family member over a complete stranger. That's why Facebook let's people know when their friends have left a review for a local business. If people see that their friends are having positive experiences at a local business, it is likely that they may ask them about it, or check it out for themselves. This viral effect can have a major impact on your ability to be found by groups of people that are connected through Facebook. Ever get a great review on Yelp or another local business review site, but have no way to share it other than getting a screenshot or copying and pasting? That's not a problem with Facebook. When you get great reviews for your local business on Facebook, you can click the link next to your five star ratings, then click on the drop-down arrow at the top right of the review that you want to add to your website and get the code. Alternatively, you can right click on the time stamp under the reviewer's name and copy the link, then share that link elsewhere. 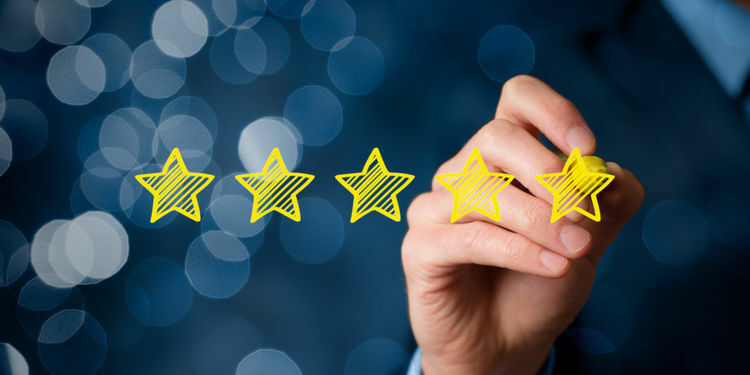 Sharing positive reviews can increase a website visitor's perspective about your company and may ultimately increase the chance of them reaching out to you. Ok, ok, now you see the value in Facebook reviews. Now, let's explore a few ways that you can get more of them. Move your review box up to the top of your sidebar. You will want to move the Review section of your sidebar into view so people don't miss it. To do this, hover over one of the boxes in the left sidebar and click on the pencil icon. Then click Manage Sections and move your Reviews box up. If you don't have a review box, check your page's category on the About tab under Page Info to ensure it is in the local business category. Make sure everyone knows your business is on Facebook. Use Facebook's handy graphics to create a sign for your business that includes your Facebook URL. Or use the graphic on your website and link it to your Facebook page. You can also include a link to your Facebook page in thank you emails and ask for a review. If you know that your customers are not necessarily Facebook savvy, then you can go the extra mile by creating a custom video tutorial on how to leave your business a review on Facebook like this local business did. Better yet, post the video directly on Facebook and advertise that post to people in your customer database using their email addresses and custom audiences! As you can see, gathering Facebook reviews has the potential to ensure that you get more visibility amongst your local customer base and a lot more word of mouth referral traffic. Make sure your Facebook page is ready for reviews and start encouraging your customers to leave them today!